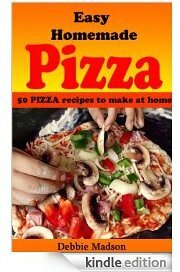 You will see with these homemade pizza dough recipes, making fresh pizza at home can be delicious and easier than you think. You can substitute white flour for wheat flour or half and half in these recipes. The important thing to remember is to start your pizza dough 1 -1 & 1/2 hour before you are ready to eat. Letting your dough sit for 1 hour will result in a much more airy and delicious crust. In 1 cup warm water add yeast and a pinch of sugar. Set aside. In your mixing bowl add flour, salt, seasoning and oil. Blend together and pour in water mixture. Blend until dough forms a ball. Knead several minutes. Cover and let rise for 1 hour. *Your homemade pizza dough will turn out much better if you allow at least an hour. 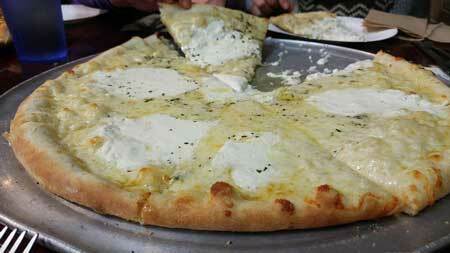 Spread dough onto a pizza pan and top with sauce, mozzarella cheese and your favorite toppings. Bake at 425 degrees for 15-20 minutes until golden brown. Double your batch of pizza dough and freeze for another day. You can freeze the dough before rising just add to a ziploc bag and place in the freezer. Unthaw the night before by placing in the fridge. Another option for freezing pizza dough is to let the dough rise and then spread onto pizza pan. Flash freeze. Wrap pizza crust in saran wrap and tin foil. Freeze until ready to use. In a measuring cup add warm water, yeast and pinch of sugar. Set aside. In a mixing bowl add flour, salt, oil and eggs. Blend together. Pour water mixture in your dough and allow to mix several minutes. Take out and knead several minutes. Let set for 1 hour. Pat dough in 2- 8 or 9 inch circle pans and press up the edges. Add your sauce, cheese and pizza toppings. Bake at 425 degrees for 20-30 minutes until golden brown. Top your pizza with a great tomato sauce like this one. Lay your pizza crust on your pizza pan. Spread three cheeses over crust. Sprinkle with garlic salt, Italian seasoning or any other seasonings you'd like. Add your toppings. 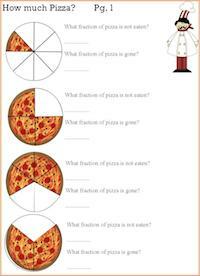 Bake at 425 degrees for 20-25 minutes until pizza is golden brown. Not only are the types of pizza you can make endless, you can do a lot of different things with a homemade pizza dough recipe. Calzones-Roll a small circle fill with your favorite toppings but leave out the sauce. Fold edge over to make a half moon shape. Seal edges and bake. Stromboli -Make stromboli with your pizza dough. Pizza bites-Roll out your pizza dough with a rolling pin. 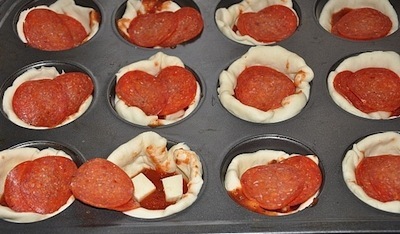 Cut out small squares top with slice of pepperoni and a chunk of mozzarella cheese. Roll up sealing edges. Brush with oil and bake. 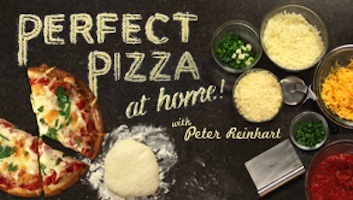 Learn to make homemade pizza with this free online class. 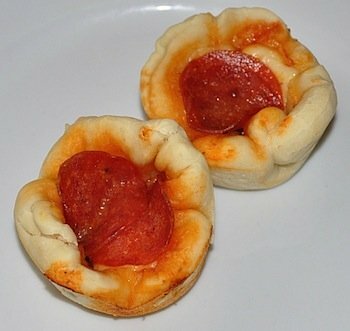 If you don't have time or want to make one of these homemade pizza crust recipes, try these options for pizza crusts. 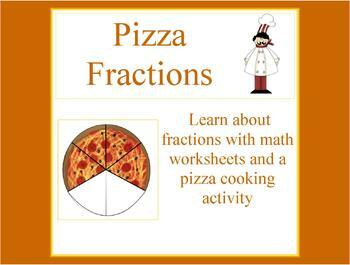 See some of these pizza recipe ideas. In a skillet brown your hamburger until no longer pink and drain. Add back to skillet and stir in refried beans. Blend together and stir in tomato sauce and taco seasoning. Taste if desired add more tomato sauce and/or taco seasoning. Allow to cool slightly. Spread pizza dough into pizza pan. Spread taco beans mixture on bottom of crust. Sprinkle the top with cheddar cheese. Bake for 20 minutes or until crust is browned and cheese is melted. 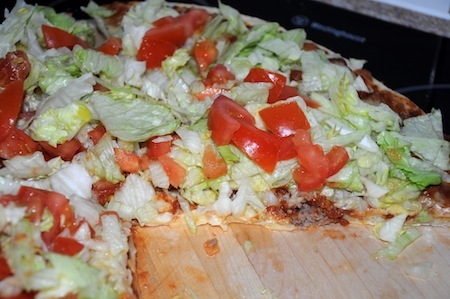 Layer pizza with toppings your family likes such as chopped lettuce, chopped tomatoes, chopped onions, olives and serve salsa or taco sauce on the side for those who like it. Create pizza and toast in toaster oven at 350 degrees until cheese is melted. For something unique try a pizza quiche. Spray a 12 cup muffin tin, then evenly press the biscuit dough into the cups, bottom & up the sides. Chill tins until ready to fill. In a small skillet, brown the beef or pork over medium high heat, & drain off fat. Stir in pizza sauce & return to the stove to heat through. Evenly spoon mixture into each of the dough cups. Bake for 10 ? 15 minutes until just getting golden. Remove from the oven and sprinkle with cheese. Return muffins to the oven for another 5 minutes until the cheese is melted & slightly golden. Remove tine from the oven and allow to rest for 5 minutes. Gently remove muffins from the pan and serve. 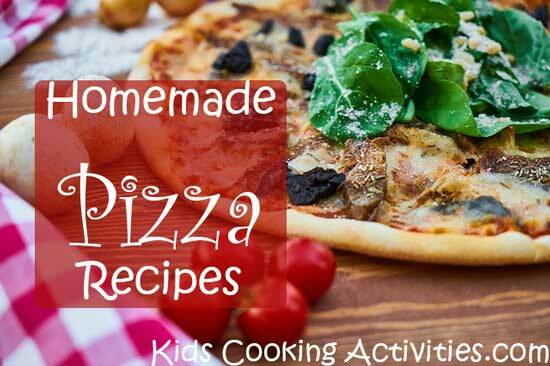 What is your favorite homemade pizza dough recipes or pizza toppings?